The last winner of fan’s choice for FIFA 19 FUT Future Stars is the France right winger 86 Allan Saint-Maximin, who is available through Squad Building Challenge now. 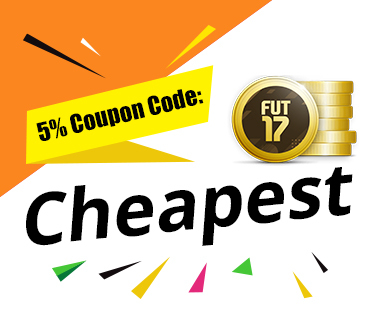 Here cheapest fifa coin sites brings the cheapest solution to complete FIFA 19 Future Stars Saint-Maximin SBC and player review, to earn a 86 Future Stars Saint-Maximin and 2 packs with least FIFA 19 coins. Dissalowed leagues: Icons, ENG 1, FRA 1, ITA 1, GER 1, SPA 1. The in-game stats and attribute details of FUT 19 FUT Future Stars Saint-Maximin. 86 overall rating winger, 96 pace, 85 shooting, 85 passing, 90 dribbling. He has incredible shot power 97, decent finishing and long shots rating, most of passing and dribbling stats are pretty pleasing, especially the 99 agility and 93 balance. 81 stamina is alright but 70 strength and 75 composure are poor. How about his actual in-game performance? He has a very high position in attribute and he’s also got high-low work rates, so he was regularly pushing forward and getting into some very good positions. He is very quick when on and off the ball in the game as you expect from someone with nice experience. He was really good on the ball and was easy to maneuver around defenders due to his high agility and he was just fun to run with his fantastic dribbling, he can pick up a lot of assists with good crossing and long and short passing, when it comes to scoring goals, his general finishing is alright but it’s his shot power that helped him score, he’s also a threat from outside the box with his finesse shots. Overall Saint-Maximin is a solid right-wing option for any team and this card is worth considering to pick up, it’s value for under 150K FUT coins.